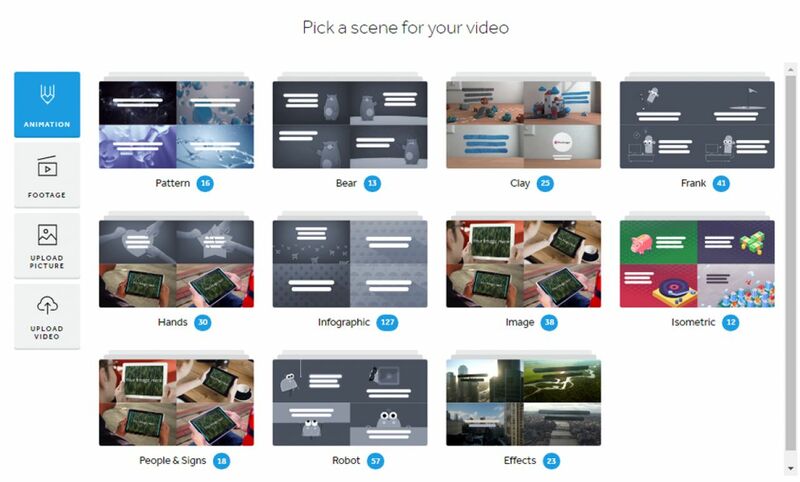 Find the scenes you want faster, with this great new feature that groups animated scene styles together. We’ve noticed that the bigger our scene library gets, the harder it is to find stuff, so we’ve done a bit of renovation to make things easier. Now, when you’re picking an animation scene, you’ll notice we’ve separated all the animation scenes into categories, so that all the Robot scenes are together, all the clay scenes are together, and so on. 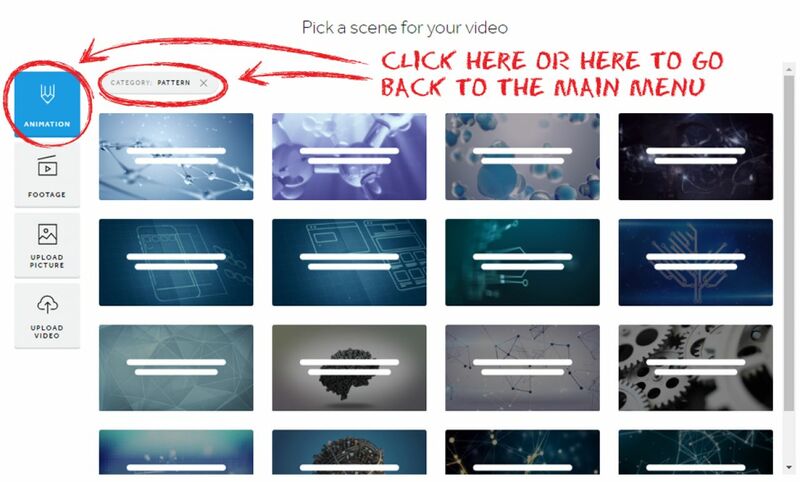 When you’re selecting a new scene for your video, click the Animation scenes icon in the top left corner. This will take you to the Animation Categories menu. When you’re in the Animation Categories menu, you’ll see all the scenes are separated into groups: Pattern, Clay, Bear, Frank, Hands, Infographic, Image, Isometric, People & Signs, Robot, and Effects. Click the tile of the category you want and you’ll see all the scenes from that category. Let’s say you’re looking for a cool pattern background and you clicked on the ‘Pattern’ category tile. 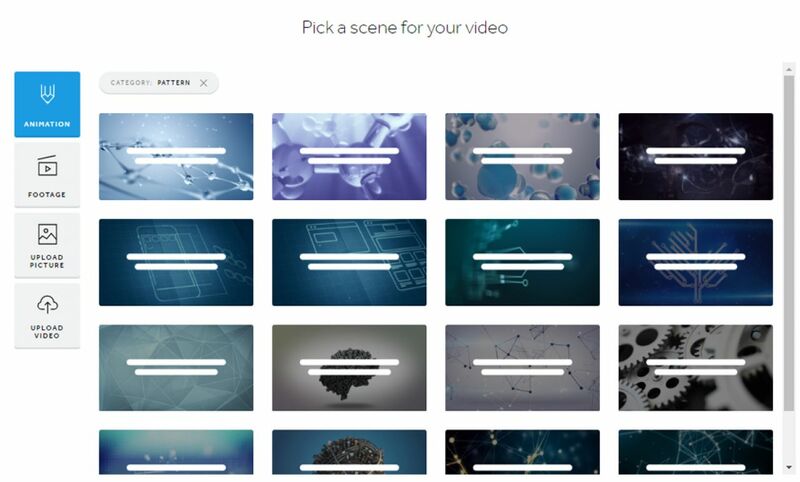 Now scroll through the options and click on the scene you want to add to your video. If you’d like to go back and see the Animation Categories menu again, just click the Animation icon or click the cross on the “Pattern” tag (see below). We’d love to hear your thoughts on whether this feature has been useful, or if you have any other great ideas to help us make Biteable better, so please hit us up on the support channel by clicking the speech balloon icon on the bottom right corner of your screen when logged into your account.